It’s no secret that data is informing content creation at most top publications, but what does that process look like in practice? We’ve summarized the six-step process we use to increase our blog’s pageviews and drive conversions. We’ve intentionally not included numbers on the steps, as they form a cycle and are repeated as you create additional content and grow your audience. First things first, you’ll need to create some content. It’s helpful to take a step back and recognize what your goals are for your content. Are you trying to establish thought leadership in your industry? Hoping to add new leads to the funnel? Regardless, you need to figure out what people in the space are already creating and consuming and how you fit into that landscape. Chances are you don’t need to re-invent the wheel here. In the beginning, find content that is working well in an adjacent sector or for a competitor, and adapt it to fit your voice and audience. Important: this is not the same as copying content. For example, you may notice that a Top 10 Ways to XYZ post performs well, and that format is something you should test. Nat at SumoMe has a great guide to growing to your first 10k visitors which details techniques to generate content topics and will help you plan your content strategy. Write your post. There are lots of great resources on how to write interesting and compelling content, but possibly the most important general rule is to know your audience. The people actually reading your content will determine how you can best present information for them. 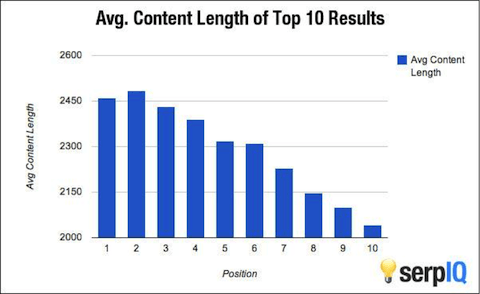 Interestingly, there’s increasing data that longer, more in-depth posts perform best. Regardless, always aim to deliver value to the reader, rather than approaching your content as an opportunity to create value for yourself. Make sure you also take the time to craft a headline that works for social media. It doesn’t matter how good your content is if no one ever clicks to read it, and social (mainly Facebook) is increasingly dominant in generating traffic. Since most of your content discovery will happen on social media, you need to test with social in mind in order to increase engagement. That means finding the best version of the headline and image that appear in social feeds like Facebook’s News Feed. Great, you’ve created your content and found the best way to package it for social. There are a variety of ways to actually going about posting it. Tools like Naytev (14 day free trial) can help you take a data driven approach to sharing posts, or you can post directly. When you’re just getting started, don’t spread yourself too thin. Pick a few networks that you can commit to posting to regularly and which are used by your target audience. Keep track of how often you’re posting and the results–this way you can use the data you collect to refine your posting strategy over time. It’s also worth experimenting with re-posting your content with different packaging (a different headline/photo) on a later day or time to reach a different part of your potential audience. Social media is increasingly pay to play. As such, your post shouldn’t end once you’ve posted to your organic channels. 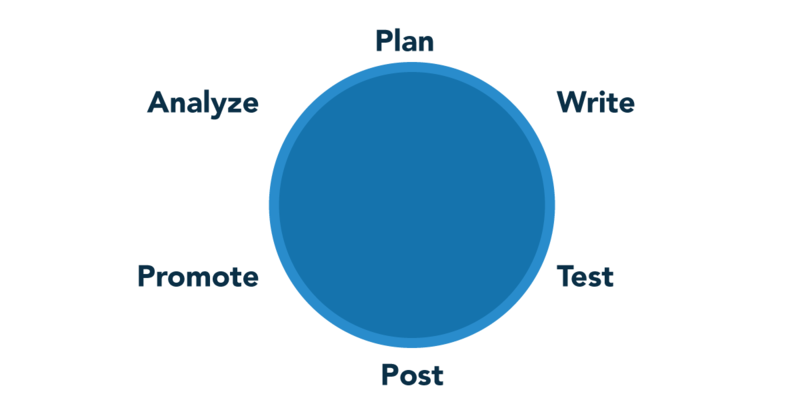 Try running Facebook Sponsored Posts (using the best message you found through testing! ), or cross-promoting content to other blogs. In order to track what’s working and get smarter about your promotion, be sure to track which sources are sending traffic your way, either using UTM paramters or a link shortener. Paid and organic reach reinforce each other’s effectiveness, giving you greater overall exposure. Review your metrics to see what works. For most content creators, 10% of content creates 90% of their engagement, however it’s very difficult to predict which posts will be those standouts. This pattern holds true from small blogs through BuzzFeed, so don’t expect to be the exception to the rule. Keep producing lots of content, and use the successes to try to get more consistent with the magnitude and frequency of your wins. Overall, a data-driven content strategy means tracking your inputs and measuring what’s working in order to improve it over time. You can only fix what you can measure, from post length, complexity, and frequency, to the amount of engagement you see on different days in the News Feed. There are no hard and fast rules, either. Most of the conclusions you draw will be unique to your content and audience. Keep testing, keep creating, and use the data you generate to get better as you go.